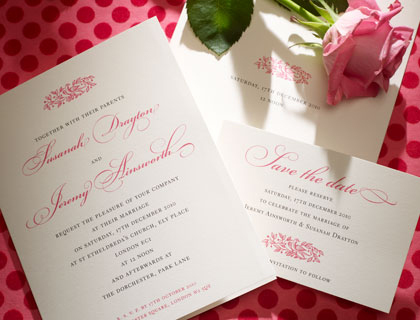 The standard wedding invitation is printed in raised rhodamine ink with flat black ink on 7″ x 5.5″ Oyster Wove fly card supplied with matching wove envelopes (unlined). The invitation can be adapted to your preferred style and you have the option to alter: size, ink colour, print style and font, blind embossing, card type, gilt edging, lined envelopes, add motif, bindi jewels or artwork to the design. 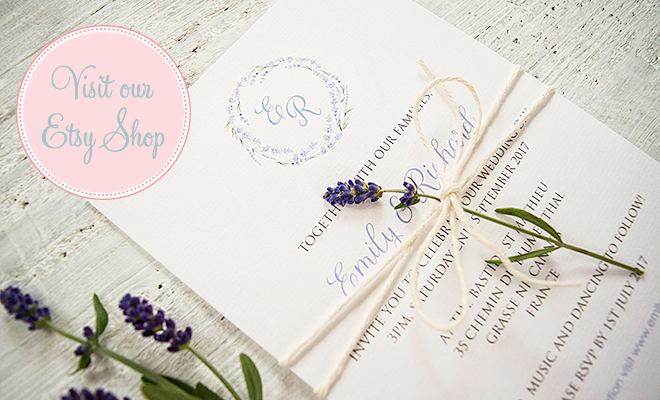 Could you please provide a quote for your ‘Electra’ and ‘Chandos’ wedding invitations?